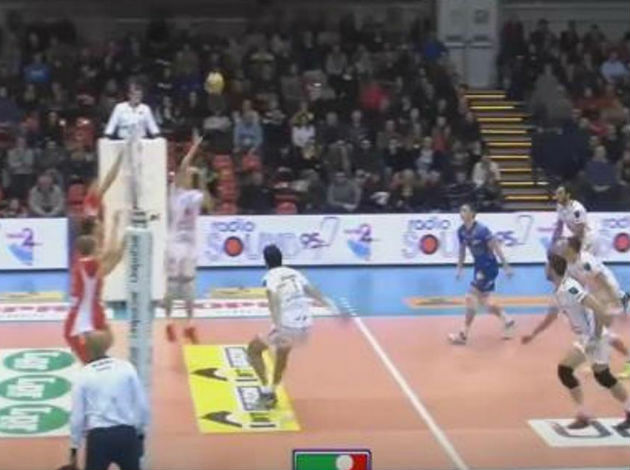 WorldofVolley :: CL M: Gdansk were close to conquer Kazan, golden set saves Zenit! CL M: Gdansk were close to conquer Kazan, golden set saves Zenit! The reigning champions Zenit Kazan barely managed to reach the semifinals, after two amazing clashes against the Polish side Gdansk. The fans of Zenit Kazan will remember this game for a long time since it was one of the most exciting games played in Kazan for over the past few years. The team of Vladimir Alekno was down by 2-0 and were close to be eliminated however, they managed to win the third and the fourth set and to force the tie-break. There, they faced another trouble. Gdansk won the fifth set and pushed the game into the golden set. Fortunately for the home fans, their team was much more focused, winning the golden set and claiming the spot in the semifinals. The match laster 3hours and two minutes and had 6 sets. Maxim Mikhailov was the top scorer in Zenit with 22 points, while Matt Anderson added 21 and Earvin Ngapeth 18. On the other side, Maciej Muzaj had 26 points. 2 Comments about "CL M: Gdansk were close to conquer Kazan, golden set saves Zenit!" What is your opinion about that videocheck at 12/11 - 13/11 ?? It seems to me that there is no block touch at all by the way… I was not against Kazan but I had never seen such a quick decision about a controversial challenge.